DiMarzio® High Definition Speaker Cables reproduce sound so accurately we could have called them "Reference Cables". Our cables are fine-tuned for deep bass and open highs. They deliver definition and openness from string-to-string like you've never heard before. They're ideal head-to-bottom hookups for guitar or bass applications. DiMarzio® Instrument Speaker Cables are made with 12-gauge OFHC copper wire and FEP Fluoropolymer insulation and minimize cable interaction when subjected to stage level volumes because of our resonance control. 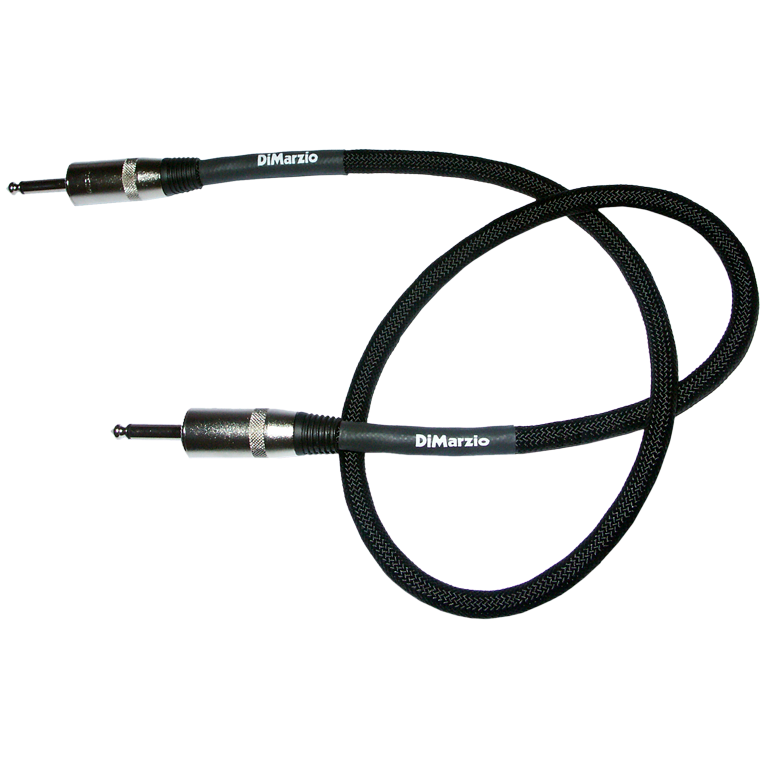 DiMarzio® Instrument Speaker Cables come in 3-foot, 4-foot, and 6-foot lengths and are available in black only. Head-to-bottom connectors have black nylon outer jackets and 1/4-inch phone ends. Neutrik Speakon ends are available at no extra cost.